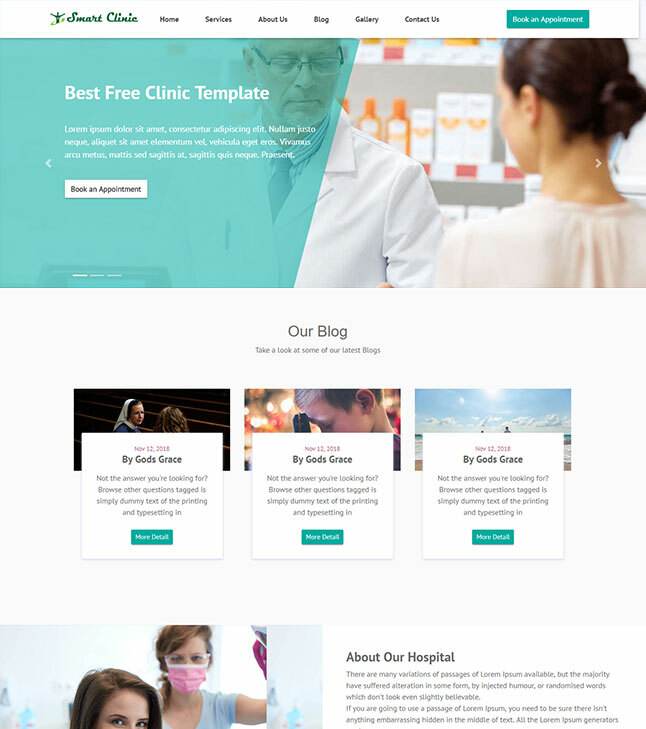 Are you looking for a very stylish bootstrap website template for you clinic. Don't wast your time any more, just download this free template and make your website very attractive and user friendly in less than one hour. Download Bootstrap Free Clinic Hospital website template from smarteyeapps.com. This is one of the best clinic website template design using bootstrap 4, yes this template is designed with bootstrap4 so you enjoy the latest design experience with attractive images and components.